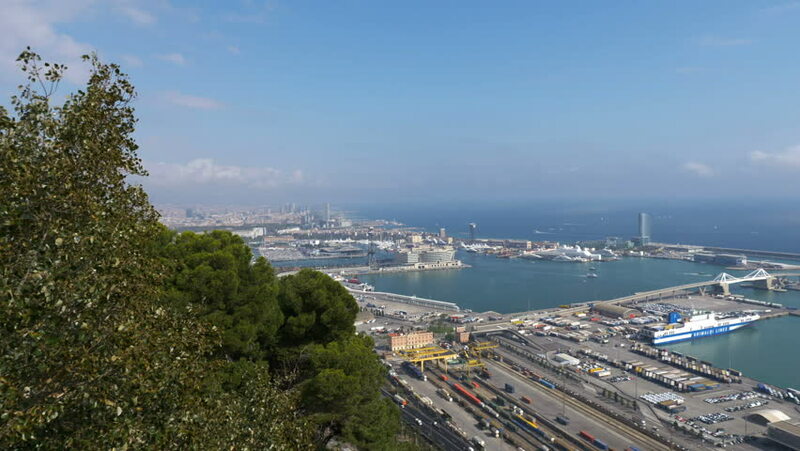 view of the Port of Barcelona. In the bay seen many yachts. 4k00:09Dolly shot with drone of southern Stockholm skyline. 4k00:30Oahu, Hawaii circa-2018, Aerial view of Koolina resorts. Shot with Cineflex and RED Epic-W Helium.